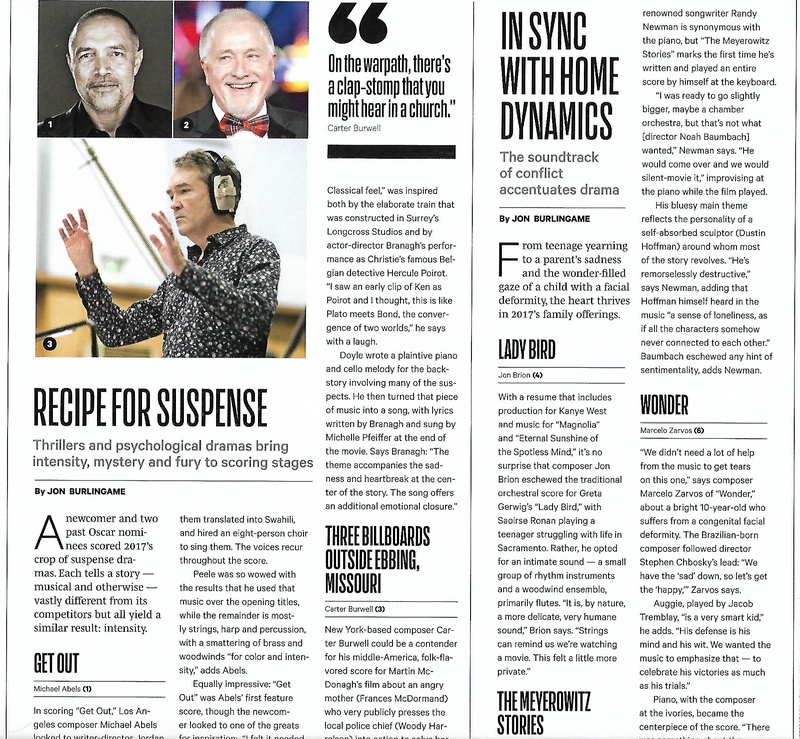 For Variety‘s final roundup of potential award nominees in the music categories, I covered nine scores and broke them down into three categories: Suspense (Michael Abels’ Get Out, Patrick Doyle’s Murder on the Orient Express, Carter Burwell’s Three Billboards Outside Ebbing, Missouri); films that centered on families (Jon Brion’s Lady Bird, Randy Newman’s The Meyerowitz Stories, Marcelo Zarvos’ Wonder); and music for animation (John Powell’s Ferdinand, Mychael and Jeff Danna’s The Breadwinner, Michael Giacchino’s Coco). It certainly was a diverse and fascinating year for original music in films. This entry was posted in Composers, Film Music, Interviews and tagged 2017 film scores, Carter Burwell, Coco, Ferdinand, Get Out, Jeff Danna, John Powell, Jon Brion, Lady Bird, Marcelo Zarvos, Michael Abels, Michael Giacchino, Murder on the Orient Express, Mychael Danna, Patrick Doyle, Randy Newman, The Breadwinner, The Meyerowitz Stories, Three Billboards, Variety, Wonder on January 4, 2018 by Jon Burlingame. 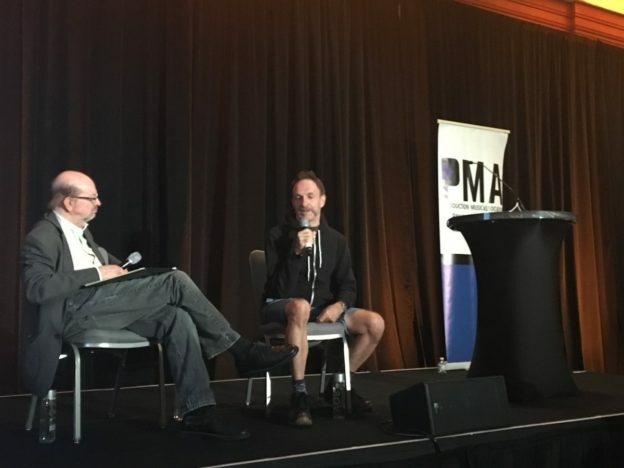 I interviewed Mychael Danna, the Oscar-winning composer of Life of Pi, on Friday at the Production Music Association conference in Hollywood. It was a delightful hour, as Danna regaled the crowd of approximately 500 composers with stories of his 30-year career in media music. Perhaps the foremost proponent of the use of world music and musical multiculturalism in films, he discussed his drive to record authentic, often exotic instruments with top musicians in their home countries. He also gave the room an early preview of his music for an upcoming animated film, The Breadwinner, and talked about remotely recording Afghan singers and musicians for the score. This entry was posted in and tagged Life of Pi, musical multiculturalism, Mychael Danna, production music, Production Music Association, The Breadwinner on October 7, 2017 by Jon Burlingame.